The history of the University of Deusto is part of an ongoing commitment to achieving a balance between tradition and innovation, always in pursuit of quality and excellence parameters. The value of tradition is strengthened by constantly incorporating milestones of excellence that have consolidated throughout the history of the University of Deusto since 1886 to present. The value of innovation is reflected in continuous improvement, the capacity of transformation of the University of Deusto throughout its one-hundredth years of existence to its current recognised status as Campus of International Excellence (Mention 2011 of the International Committee appointed by the Ministry of Education). This socially-oriented, non-profit university participates and works collaboratively in: Jesuit Higher Education Sector, Global Tuning Project, European Higher Education Area, Basque University System, Basque Network of Science, Innovation and Technology and the Basque Social Innovation Network. Following their motto 'Give and spread knowledge', the University of the Basque Country is an integrating institution willing to produce knowledge, experience and research in order to forward them to the general public. The courses catalogue consists of 67 Bachelor's Degrees in all fields of knowledge. At postgraduate level, they offer 103 official master programmes, 44 professional & expert diplomas and 71 PhD programmes. UPV believes in education as a means to arouse the students' awareness of the world and develop precious skills both for career and life. Their surveyed graduates appraise, among the competences acquired while attending the institution: the improvement of their teamwork and leadership skills, the reinforcement of their decision-making and problem-solving ability and the unfolding of their creativity. 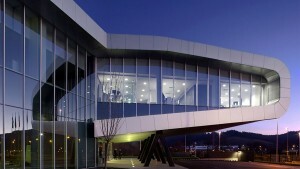 AIC is a European open innovation center based in Bilbao, designed to provide high added value for the automotive industry at a global level, integrating knowledge, technology and industrial development. Following its profound market orientation, AIC identifies and promotes innovative cooperation projects that help the entire value chain reduce time to market while minimizing efforts and risks. AIC supports such initiatives by bringing together industrial, financial and technological stakeholders working in key strategic focus areas for the automotive industry in the coming years. Transform knowledge into GDP. Its mission is to transform knowledge into GDP improving people's quality of life by generating business opportunities for companies. 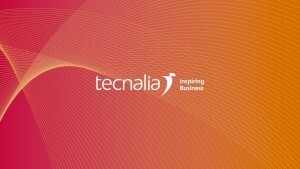 Tecnalia is a global corporation that aims to attract knowledge, talent, resources and high value trends for its members and clients. This international focus has enabled Tecnalia to transfer its technology beyond its own frontiers through international development projects. All classes in both programs are taught in English, and students have the option of studying at DigiPen's Redmond or Singapore campuses for a year as part of their degree. For more than 20 years, DigiPen has helped shape the game industry in the U.S. and around the world. Many of its professors and executives have held prominent positions at major game companies like Nintendo, Microsoft, and Disney, and DigiPen graduates have contributed to hundreds of game titles, including Call of Duty, World of Warcraft , Halo, Portal, Half-Life, Guild Wars, and BioShock Infinite. MONDRAGON UNIBERTSITATEA is committed to social transformation. It is a cooperative university with a clear human vocation and a commitment to the environment and to society. The teaching model involves a system of relationships which, with the educational system as the central theme, aims to involve the companies and institutions in the area, in order to guarantee social accessibility, the combination of work and study, the development of research and the provision of Continuing Education. The students have the possibility of combining their studies with part-time work, which, besides complementing their academic education, enables them to pay for their studies. The crossroads of the world of fashion and technologies has opened the doors to emerging research opportunities of great economic and innovative potential. The tendency to include technology in clothing and accessories will increase, satisfying unresolved needs and finding new ways to communicate. Through a training programme that covers the major disciplines which will became prominent in the fashion world -3D printing for manufacturing, including sensors to generate other types of interaction, the use of new smart materials, and others-, BFT Lab wants to put the industry in a competitive position comparable to that of similar companies installed in major global capitals like New York, London or Paris, besides acting as a catalyst of this latent potential. The programme intends to create a complete community made up of technologists, designers, fashion companies and organisations developing cooperation projects linked to the fashion industry. The aim is to support the sector to empower it and to place the city of Bilbao at the forefront of this technological change. The Bilbao Contemporary Photography Centre-CFC offers quarterly training modules and weekend workshops apart from the Annual Course. The own teaching staff is complemented with external renowned photographers, so that students achieve a balanced education between technology and creativity. The school has two lecture rooms, digital classroom, photography studio and library as well as an exhibition and conference hall. The training sections include personalised monitoring of students. Coats, bridal gowns or cocktail dresses, Haute Couture and fur designer Javier Barroeta, who set his own atelier in 1989, has just produced what probably is his most complex design, the first Haute Couture School located in Bilbao. Javier Barroeta now puts all his experience and knowledge at the service of the students who attend the school, where they will have the opportunity to choose between different courses, quarterly or yearly, with the ultimate goal of creating their own couture houses or to carry out their professional career in the existing ones.